Anthony Martial hailed the positive impact Ole Gunnar Solskjaer has had on his game, praising the Manchester United caretaker manager for encouraging him to express himself. United have won all six competitive fixtures since Solskjaer replaced Jose Mourinho and have played with an attacking freedom that was rarely evident during the Portuguese's tenure. Martial has only scored once since Solskjaer's arrival, netting in the 5-1 demolition of Cardiff City in the Norwegian's first game. However, he still believes Solskjaer has had a big influence on him, telling Norway's TV2: "It is great for me to work with a manager who was attacking even when he was playing, just like me. "He comes with good advice, especially suggestions for positioning in front of goal and the actual finishing. There he helped me a lot. "The best advice I have received from him until now is that I have to play to my strengths. Don't put pressure on myself. He says I have to express myself on the pitch. It is very nice to be able to get such advice from Solskjaer." 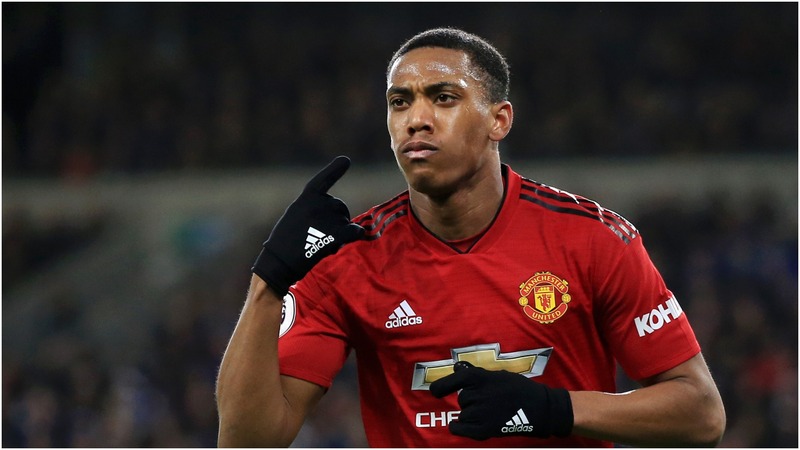 Recalling Solskjaer's message to the players on a recent warm-weather training trip to Dubai, Martial added: "He talked a lot different when we were in Dubai. He told us about the tricks he picked up as a player and how lucky we are to be part of Manchester United. "We all know that he was great when he was a player. So we listen when he tells us something."